May you all enjoy a good cuppa. Dimal, Magic_Matt, Rolf and 1 others like this. Thanks Guys, been working at my Sons new house all day, digging out stumps of trees stupidly placed in unsuitable positions by the previous owner. Coffee was a coffee-bag today. Maybe good coffee tomorrow. Spent today with the family at a good Friday charity auction which is always nice and social and raises lots of money for the hospital. Looking forward to some more quality family time over the long weekend. Drive safe everyone, have seen a nasty (maybe fatal) accident already, watch out for those distracted loonies in a hurry that don't get out much. Have a good / safe time. Looking forward to seeing the egg lattes. Won't partake myself though. Have a good holiday weekend everyone. Drive safe and enjoy the coffee! Easter plus two more sessions to get this big sucker out. About 5 hours and three coffee bags. 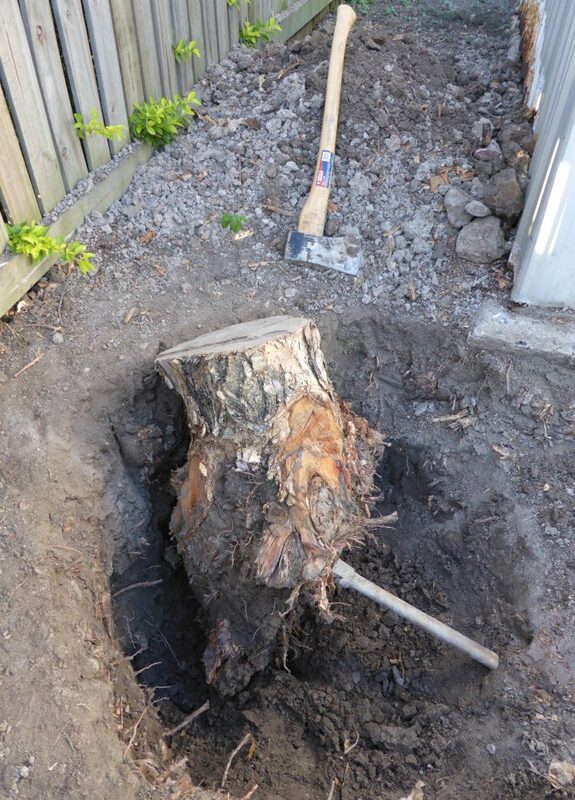 Son is having a house-warming party this weekend, maybe they could have a "Stump-dragging Contest".